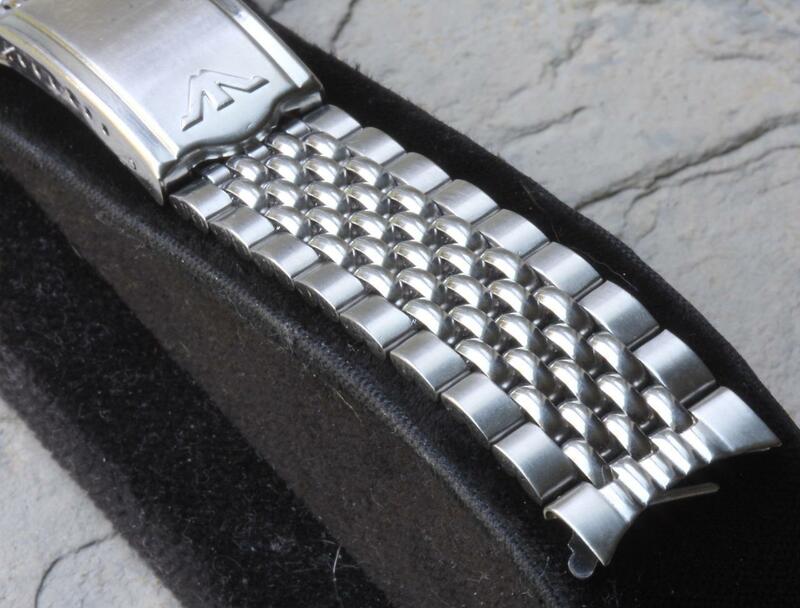 Amazing way to complete your popular Wittnauer Super Compressor vintage watch model or Wittnauer chronograph with this original Kestenmade Bambi vintage Beads of Rice dive watch bracelet. 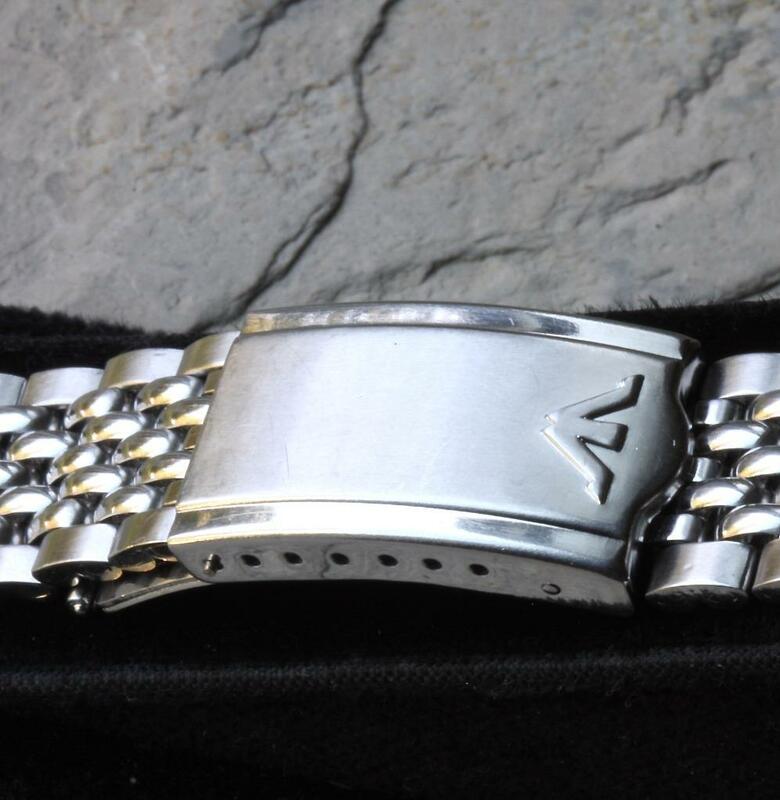 Discovered as New Old Stock from the 1960s/70s, featuring the Wittnauer logo on the clasp. This band will greatly increase your enjoyment of your watch and what you spend just goes right into increasing the value of your watch. 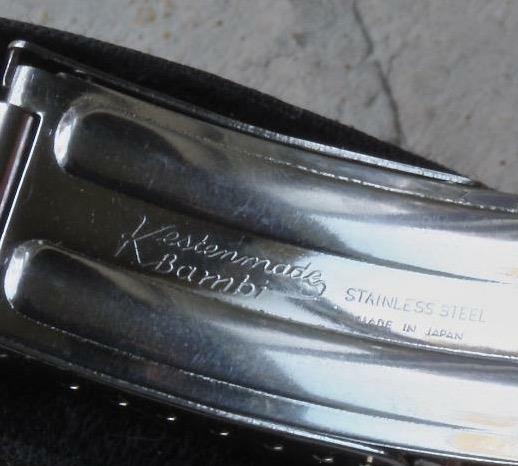 Kestenmade Bambi bands are some of the best ever made for Wittnauer. 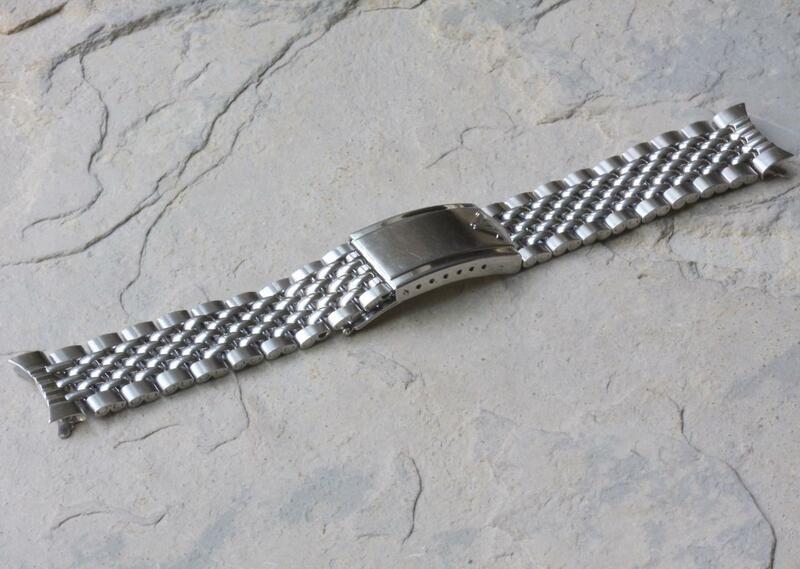 This stainless steel rice beads bracelet has 18mm standard curved ends as shown. You can also purchase extra end sets in 19mm or 20mm to switch this between different Wittnauers in your collection. Perfect gradual taper out to the 18mm wide last links before the end pieces. Check that the length will work for you as 6 inches (15.3cm) long fully extended. 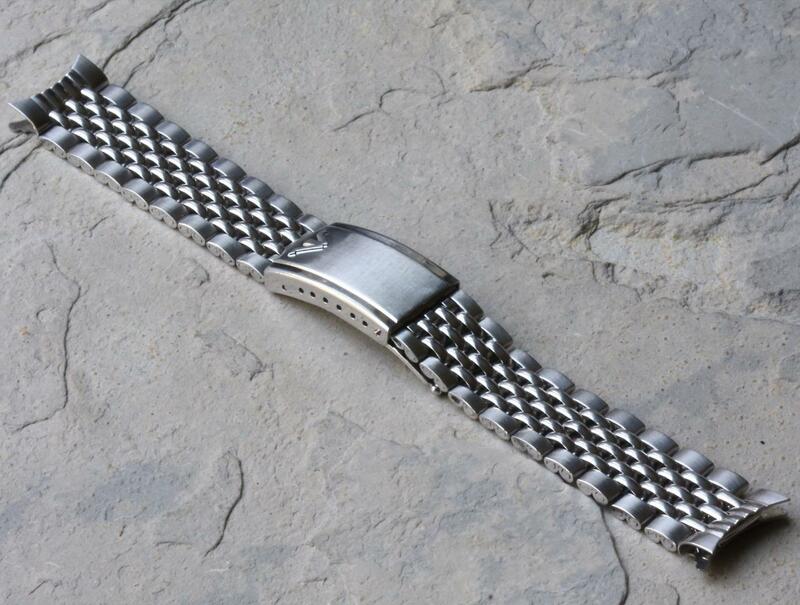 Band sizes down to 5 5/8 inches (13.8cm) with the adjustments in the clasp. You can shorten it even more by removing links, which is easy to do on these bands. If you need it longer, we can sell you extra links and install them. 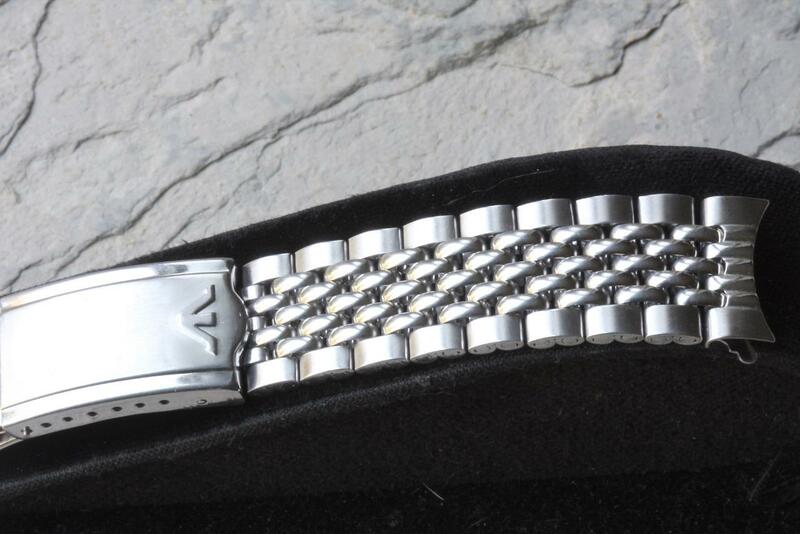 Clasp is 17.25mm wide. Links are 3.4mm thick. Band weighs 35 grams. U.S. shipping/tracking is $7.99. International buyers add $70 for EMS Express (arrives in 5-7 days) or $115 for FedEx. We also have BoRs in 17mm, 17.3mm, 19mm, 20mm and 22mm, plus spare links. Modified BoRs for Heuer 1163V, 1163T and 11063 cases. Spare ends that fit IWC Ingenieur and substitute ends for most Heuer chronograph BoR applications. Ask about our special Short & Long versions if you have a small or large wrist. 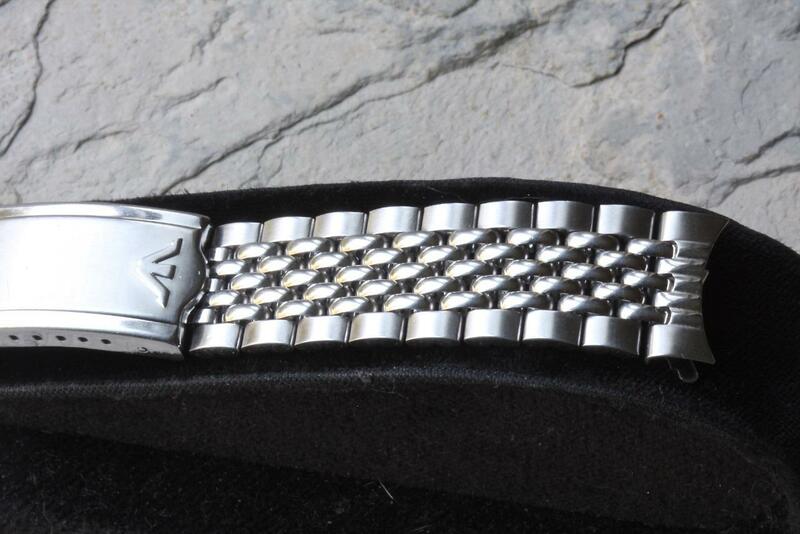 We also have name brand Beads of Rice bands signed Rodania, Seiko, Titus and Wyler.